Did you know that 1 in 3 young people will be in an abusive or unhealthy relationship? Your close friends may be suffering dating violence right now, and you may not know it. The line between “she texts me constantly because she loves me” and “this is unhealthy” can be super blurry. By spotting and acting on the signs of abusive partners, you can promote healthy relationship behavior. 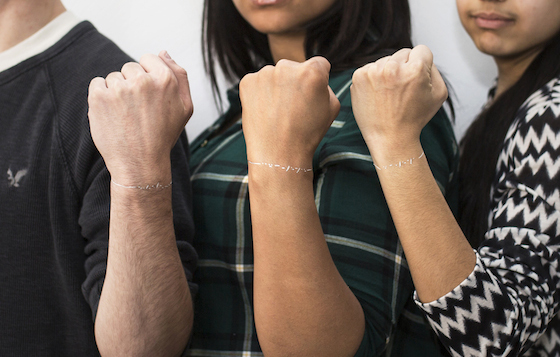 Share the guides and bracelets with two different friends and keep a set for yourself! DoSomething.org is one of the largest global orgs for young people and social change. Our 3.6 million members tackle campaigns that impact every cause, from poverty to violence to the environment to literally everything else. Any cause, anytime, anywhere.